We are a leading Manufacturer of 2017 hot selling optical frames at lowest market price, new model acetate eyeglasses frames optical, eyewear glasses, acetate frames and spectacles frames from Indore, India. 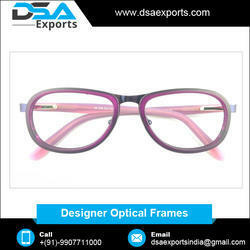 Aided by a team of qualified engineers, we are actively offering Eye Frames that are appreciated for their bright colors, splendid looks and impeccable designs. The offered eye frame is designed and manufactured in adherence with the modern fashion trends. Also, our eye frame is checked from our side before supplying to customer’s end. 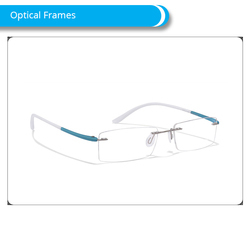 This eye frame is used in aerospace industry, chemical industry & nuclear power for eye protection. Pioneers in the industry, we are offering a wide range of Eye Glass Frame that is exceptionally requested for its ideal completion and elegant quality. Our offered glass frame is manufactured by us using top class material as per the set market standards. The provided glass frame is accessible from us on several sizes & other specifications as per the variegated demand of clientele. As well, these glass frames can be availed from us at market leading price within promised time frame. We manufacture best quality acetate frames in various colors & designs. Our acetate frames have best quality. We manufacture acetate frame keeping in mind the latest trends & market demand. We are engaged in offering our clients a wide range of Spectacles or Reading Glasses. 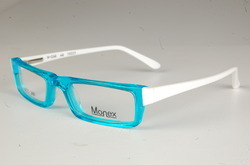 These spectacles are available in all sizes, colors and styles. Our entire collection is widely appreciated for its elegant designs, uniqueness and durability. 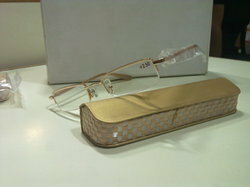 These are available in metal frame, half rim, plastic lens & will come with a outer box. Looking for Optical Frames, Sunglasses and Accesories ?